Poachers are attacking California’s coastline, but they aren’t looking for animals. These poachers are after succulents. In February, two poachers from Southern California were sentenced for trying to send stolen Dudleya to eastern Asia, and two more cases are still in the court system. The investigation in Humboldt County is just one involving Dudleyas which grow on cliffs near water and are considered a trendy plant in Korea and China. "These plants are desirable, we like them, they are easy to grow," succulent expert Kelly Griffin said. "People should have them but they should have them in the right way." Griffin works with Altman Plants, a North County company that's one of the largest growers of succulents in the U.S.
Altman Plants believes growing valuable plants like Dudleya and selling them at a low price is one way to combat the poaching. Their aim is to undercut the black market sellers. “After they’ve ripped them all on the hill and they try to grow them and they kill them, they’ll move on to something else, but the damage will have been done," Griffin said. 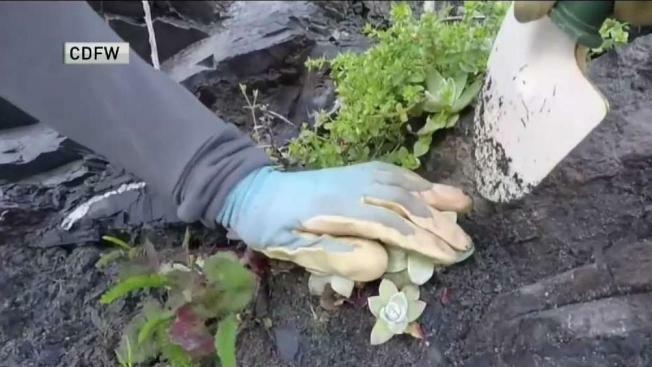 In the Humboldt County case, three people were prosecuted for possession more than 2,000 Dudleya plants. One man from China and two men from Korea were sentenced to almost four years in state prison and fined thousands of dollars.